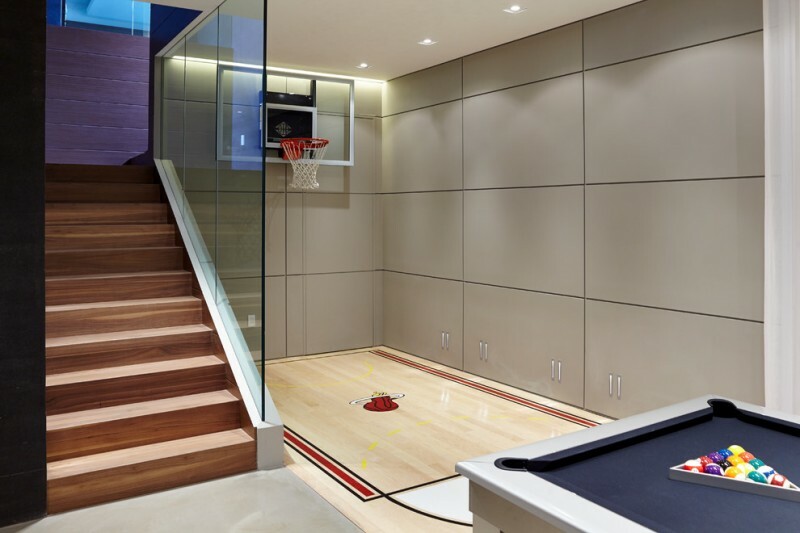 Hi, basketball lovers, you must be proud and delighted when you have your own basketball court in your house. 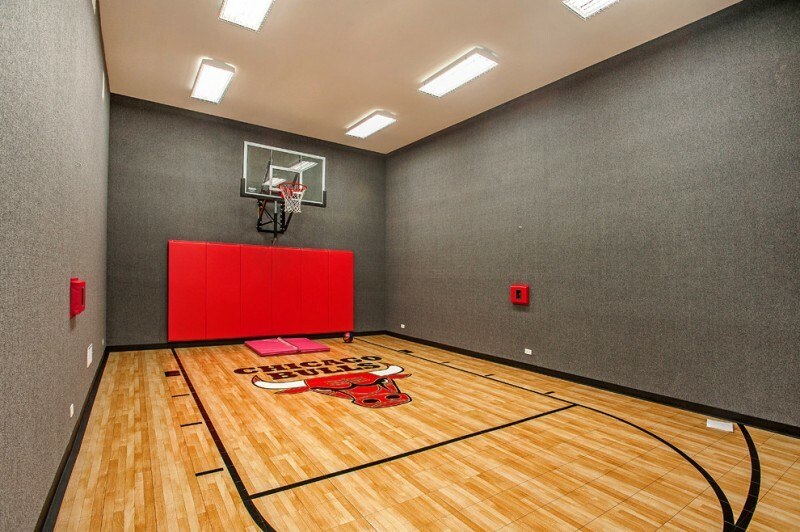 With this court, you freely play your favorite sport even with your family or the loved ones. 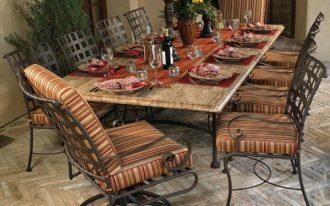 You’re exactly happy with this space around your house because it’s rare to find in other houses. Just few houses have it. 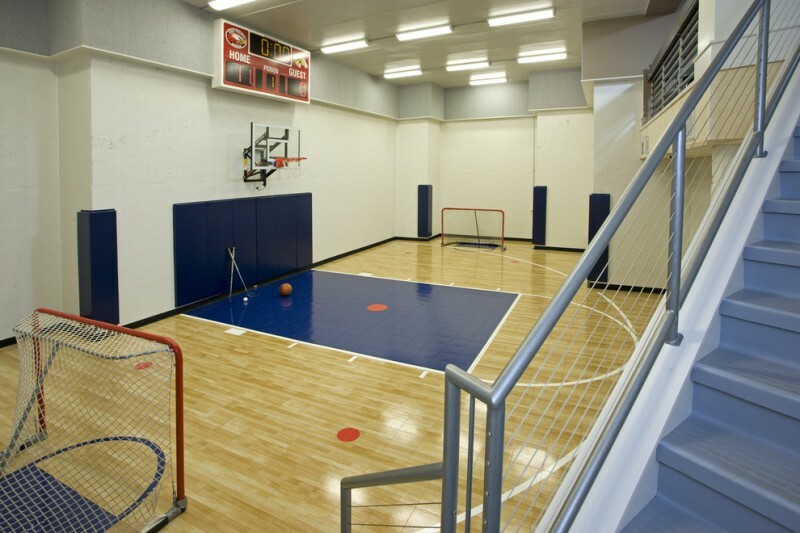 Indoor basketball court sounds good to implement in home. 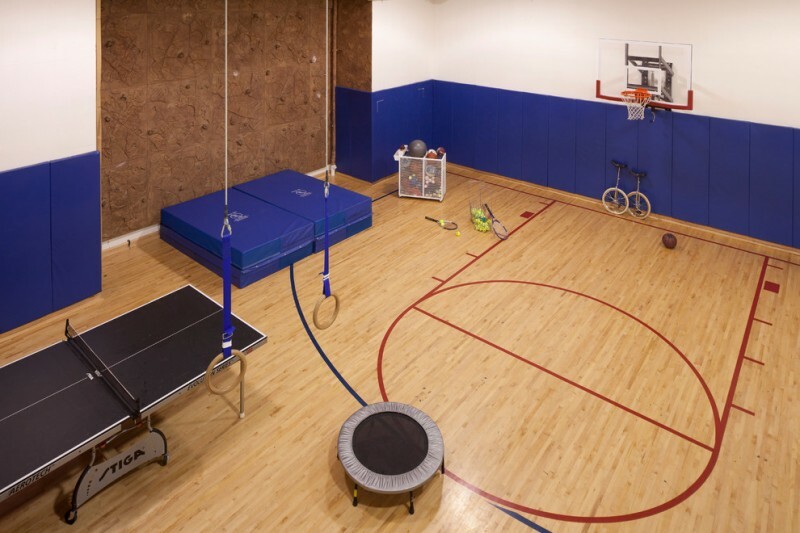 It’s gonna be a special space for fun basketballs you can do in your most fun time. 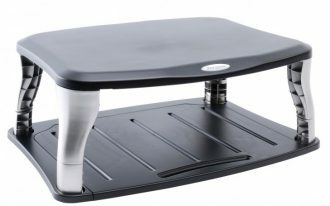 Most of them, even, are specifically designed for kids and really good to stimulate and to train your kids. 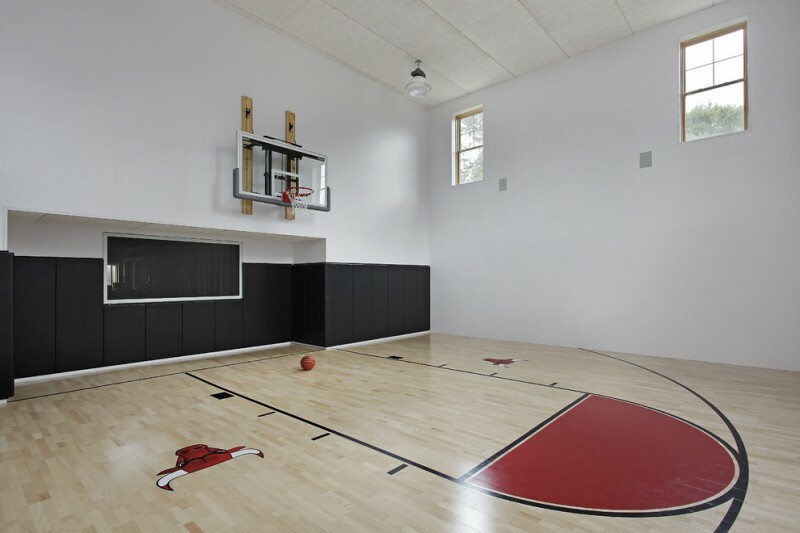 Then, where the indoor basketball court should be located? 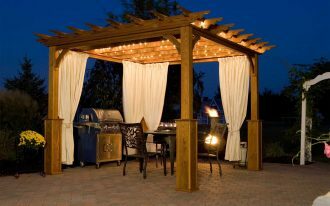 There are many options and these are located in a spare room such as garage, basement, and even below mezzanine. 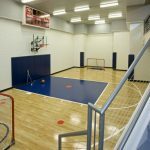 Well, let’s find some inspiring ideas of indoor basketball court I’ve shared below. I hope these ideas can give you new reference to make your dream comes true. 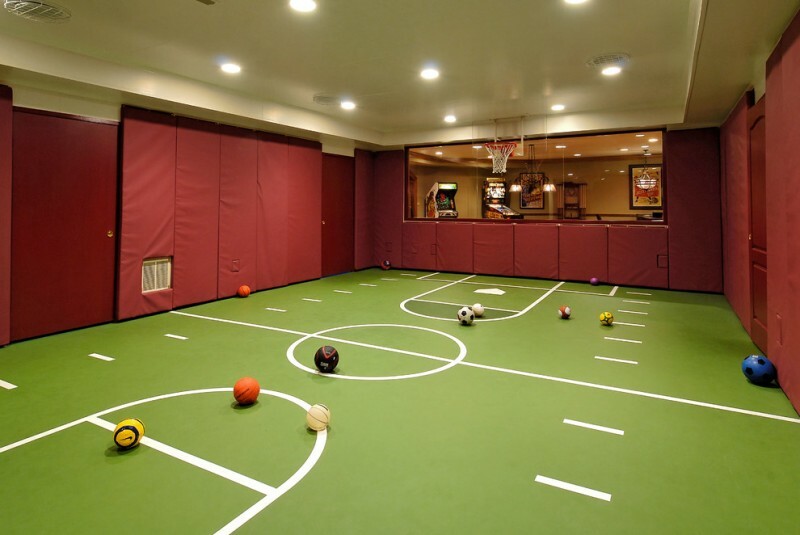 Large indoor basketball court with green floors and maroon wall panels. I love the colors, especially the floors designed as similar as the real court grass color. Lots of recessed lamps here are installed to provide good lighting during playing basketball. Perfect! 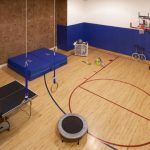 Different to previous idea, this indoor basketball court is designed with other exercise spots like table tennis, trampoline, and many others; an option if you like doing exercise with the crowds (in this case, your friends or maybe your family members). 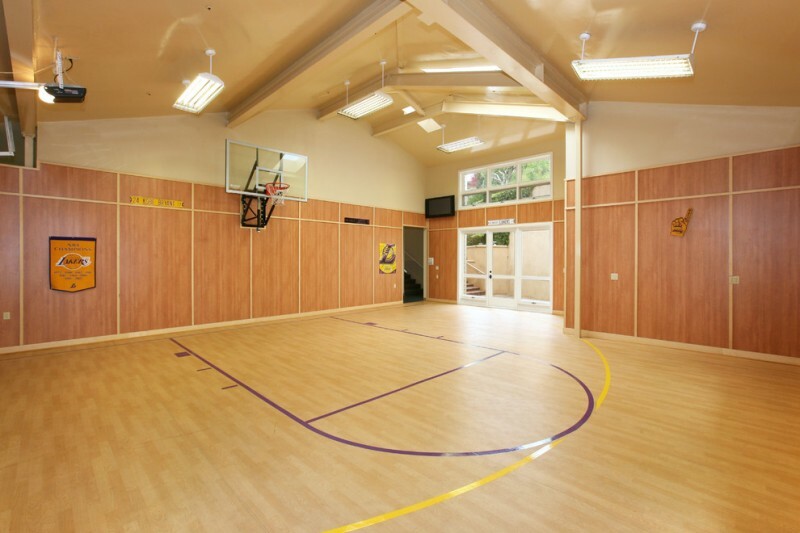 This indoor basketball court is supported with gloss maple flooring, the same finishing with the real one. The red backboard is just a decorative panel, and the head of bull here attractively garnish the floors. The walls are grey carpet that can protect the walls from the ball bounces. 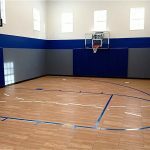 Maple-finishing court floors – one of best options for creating an indoor basketball court feels and looks like the real wood court-flooring. No moisture matters, no high cost. Ultra gloss maple for court flooring. 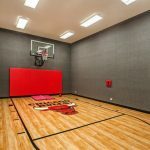 With this flooring, your private basketball court will look like the real one. 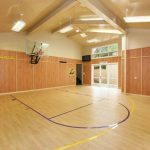 About the size, it’s standard and can be used for both fun plays and real basketball tournaments. 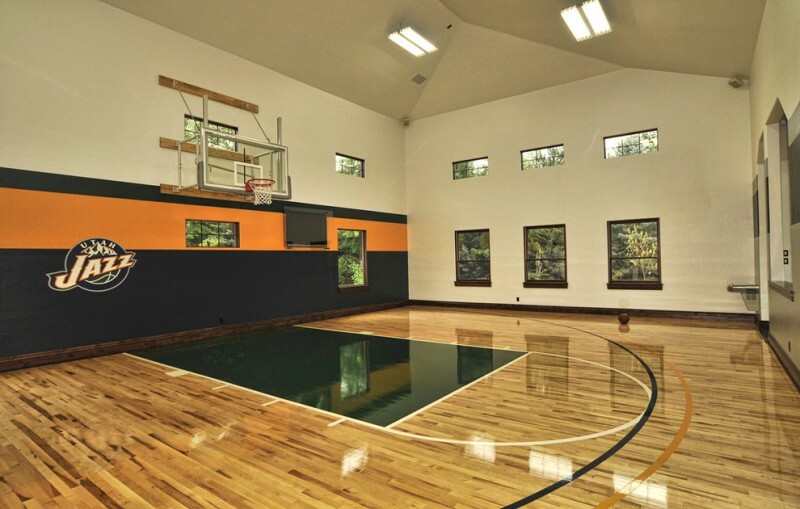 Modern basketball court in private home. It’s neatly designed in clean look and minimalist. 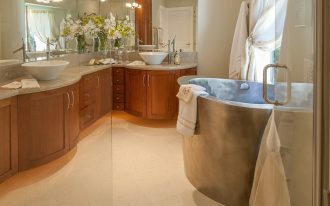 The space is dominated with bright tone, and a bit pale on floors. To make it more colorful, the designer puts red & black as the color accents. But most of all, I really like the windows; they simply add non-stadium’s character. This is not maple-flooring court, but hardwood laminate. 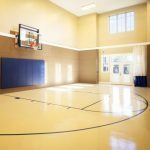 The court lines are intentionally made in yellow and purple for more attractive look, and the darker wood laminate on walls look so great with decorative vertical lines detail. 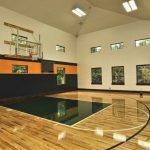 It must be awesome to have such a comfy home gym with large private basketball court. 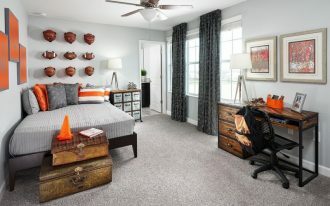 The wall colors are so interesting, implementing solid black and pop of orange in one wall panel. A real contrast but complete each other. 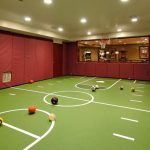 Smaller indoor basketball court idea. 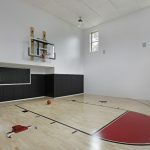 This is a great solution for you guys who really love basketball but matter on space’s size. We can optimize the vacant space beside the stairs and just panel it with such laminated glass on stairs’ side. The glass is actually made of two layers of glass and supported by a film in the middle. This glass panel is really safe even from the ball shoots. 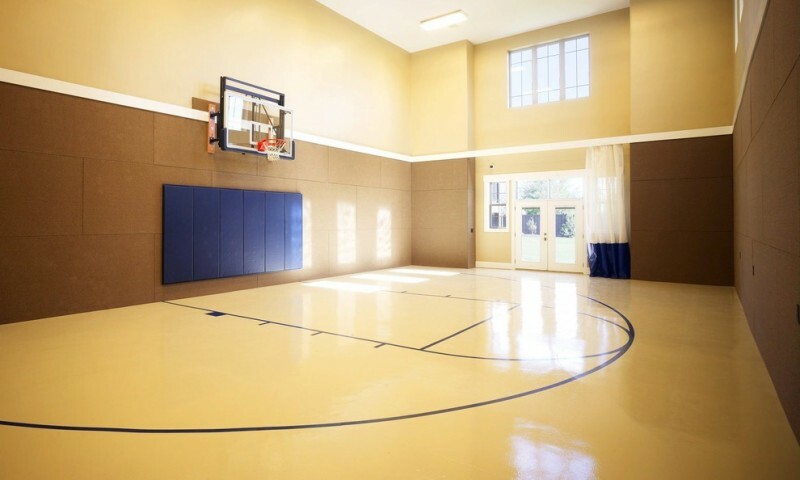 Homey sport court – feel cozy and private while playing your favorite sport in this space. You can pick your favorite color scheme to colorize the space. 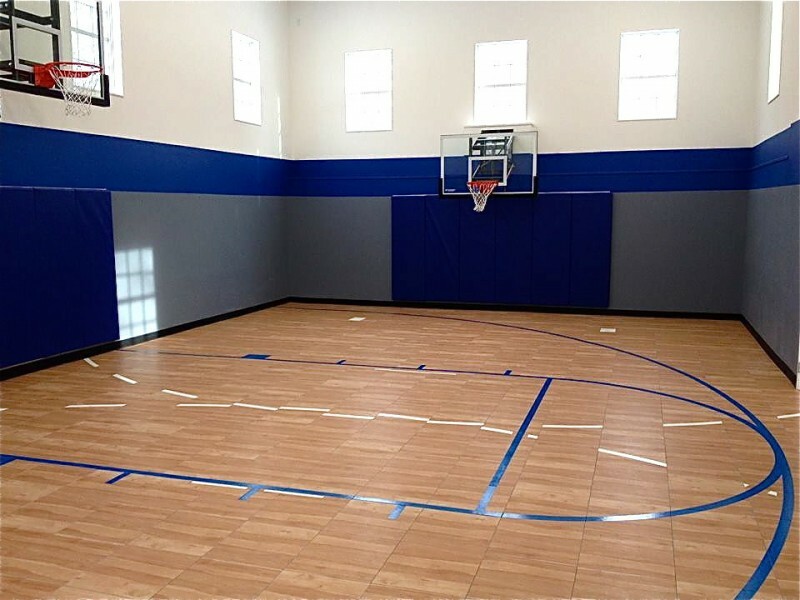 The navy blue in this indoor basketball court, for instance, mirrors masculinity most basketball players’ value. Light wood-laminated floors here offers warm but still sporty with blue supporting color.